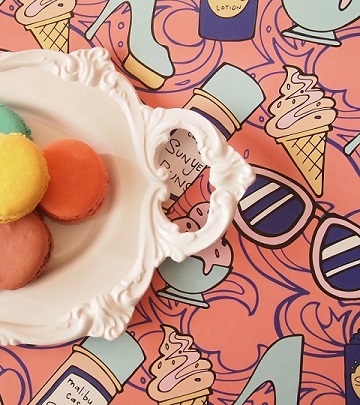 Owner, Nikkolette Krumheuer of Nikkolette's Macarons, will guide you through a fun tutorial on baking French macarons. In this demonstration class you'll learn the history of the macaron, tips and troubleshooting, recipes for macarons and buttercream fillings, and more! Nikkolette will demonstrate how to make macarons. As a class, we'll fill the macarons together with various fillings. Then, we'll nibble on macarons with tea. Yum! Every class participant will go home with a small package of macarons. Bid farewell to the last days of summer at our third annual Sweets & Sangria soiree at the studio! We're hosting a party with treats, sangria, and tons of fun with makeup/hair demos and shopping! Come for as little or long as you'd like and feel free to bring friends to this lovely ladies' night! Cheers! 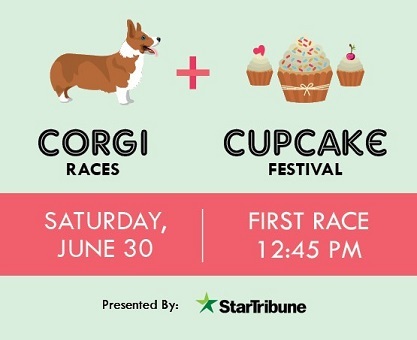 I'm participating in the cutest event ever, Cupcakes and Corgis. See you there.....with lots and lots of macarons!!!! 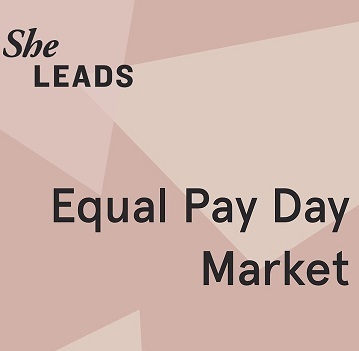 Join us and many other fabulous women owned businesses on Tuesday 4/10 for #sheleads marketplace. Grab the perfect Valentine's (or Galentine's) gift at Hazel & Rose! Featuring delicious handmade treats by Nikkolette's Macarons, Mademoiselle Miel, and personalized handmade cards by Poky Notes! Join me for a fun tutorial on baking French macarons held in the Mill City Museum Baking Lab. This three-hour class includes time to prep, bake, and fill the cookies. Participants will learn about the history of the macaron and get baking and troubleshooting tips while enjoying plenty of macarons to snack on during class. Attendees will each take home their own homemade macarons. Ingredients and equipment are included. 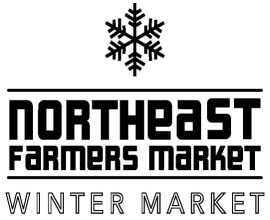 Nikkolette's Macarons will be at the Northeast Winter Market!!! 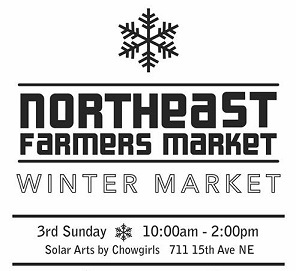 Support local food and artisans during the winter months. 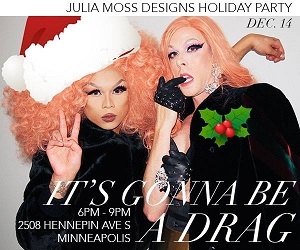 Join Julia Moss Designs and four of our favorite Minneapolis Drag Queens for an in store holiday party! The Queens will be armed with makeup brushes for touch-ups and tips. Stop in for a sip and a sweet - after all, what would a JMD holiday party be without Nikkolette's Macarons!! 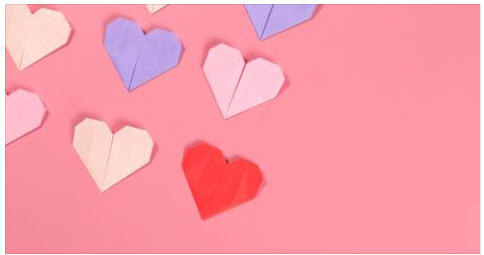 GIVE BACK -The Aliveness Project supports those living with HIV lead healthy & self-directed lives.10% of all net profits from this event will be donated to this great organization! It's time for Union Depot’s 5th Annual Holiday Bake Sale. 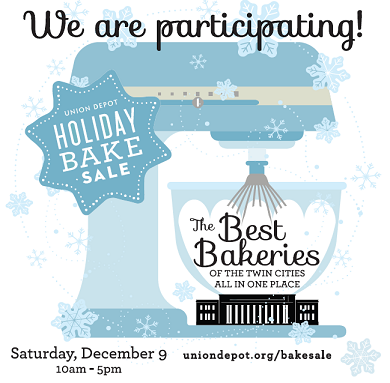 The top Twin Cities bakeries will be selling cookies, candy and other items for a day of holiday shopping on Saturday, December 9 2017 from 10:00 a.m. to 5:00 p.m. in the Waiting Room at Union Depot. Midwest Pantry, St. Anthony Area Chamber of Commerce and Fitness Crossroad invite you to the 5th Annual Shop Small Holiday Market! Shop small on Small Business Saturday (Nov 25th, 2017) in the new larger layout at the St. Anthony Village City Hall & Community Center. 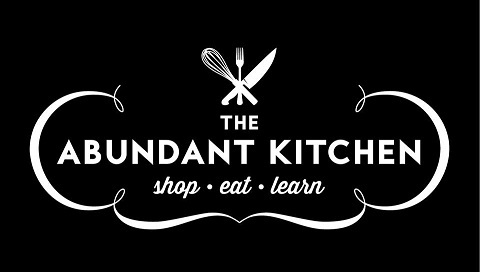 For one day only, 40+ Minnesota small businesses will feature their locally-made artisan & organic foods, custom art pieces, health & beauty products, kitchen & house ware, handmade jewelry, accessories, clothing, pet treats, gift baskets and so much more in one convenient location in the heart of St. Anthony Village. Making it easy to gift locally this holiday season! 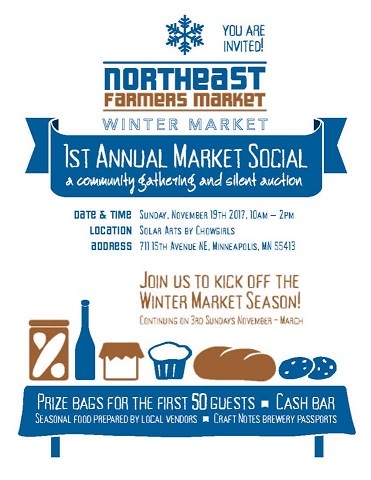 In a celebration of our community, join the Northeast Farmers Market for the 1st annual Market Social at the Winter Market! We will kick off the winter #frostfreemarket season with this community gathering event to help support the market we all love. 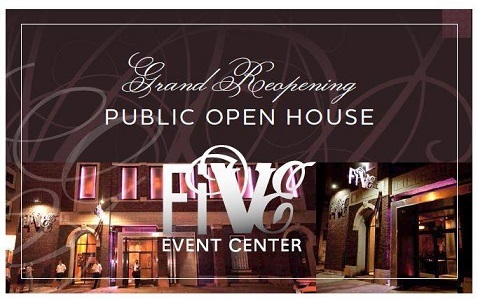 It will feature a silent auction, grab bags for the first 50 in the door, Mega raffle drawings, and more! Attendees will enjoy local shopping (30 vendors), food, drinks, and music. Featuring over 60 local artisan vendors at the 10th annual holiday market to benefit the club’s scholarship fund. 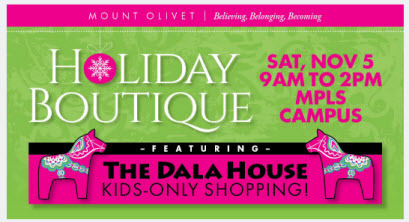 Bring a friend and don’t miss the best holiday shopping event of the season! Kabomelette food truck will be parked outside to keep you fueled up while you take care of everyone on your list… including you! 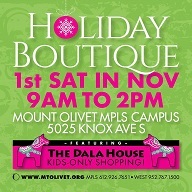 Nikkolette's Macarons will be at the Mount Olivet Holiday Boutique this year!!! 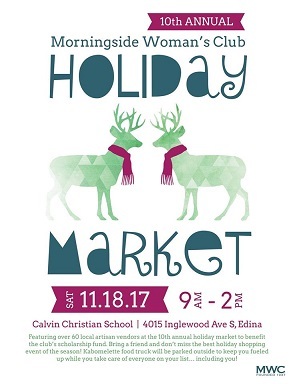 The Mount Olivet Church Women invite you to their annual Holiday Boutique on Saturday, Nov. 4, 2017 from 9am-2pm at Mount Olivet Lutheran Church, Minneapolis Campus. There will be over 60 unique vendors. 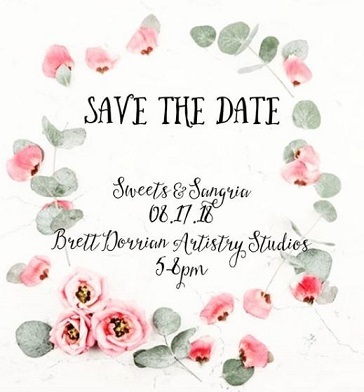 You're Invited to Sweets & Sangria at Brett Dorrian Artistry Studio on Thursday, August 3rd, 2017 from 6-8pm. This is an open invite, you are welcome to bring friends! Thank you Mpls.St.Paul Magazine for the macaron highlight in the 'Best of Local Bakeries' issue!!!! I'm excited and humbled to have been selected by Minnesota Business Magazine for their "Most Likely To Succeed: People's Choice Award's". This is where you come in! Please take a moment to support Nikkolette's Macarons and vote for us in the FOOD PRODUCER section. Voting ends July 20th. Join us for a fun evening out celebrating our Mom's and everything they do for us! This will be an interactive event with beauty demonstrations, eye brow waxing, fashion styling tips, and more! Looking for the perfect gift for Mom? Come shop from local makers and business owners! Retail stands will be at the event and you will be sure to find the perfect Mother's Day gift! Tune into The Jason Show on Fox9 on Monday, March 20, 2017 for a segment on macarons!! 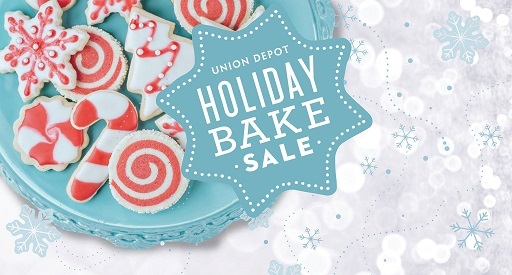 Union Depot’s 4th Annual Holiday Bake Sale will host the top Twin Cities bakeries for a day of cookie and candy shopping in the beautifully restored, historic Union Depot in downtown St. Paul. Join me at Julia Moss Designs this Saturday from 12-5pm with Malibu Casey and Nicole Houff's Barbies. This is going to be a fun Holiday Pop Up Shop! Stop by and say hi....and pick up some macarons for your holiday parties!!! Midwest Pantry, St. Anthony Area Chamber of Commerce and Northeaster invite you to the 4th Annual Shop Small Holiday Market! Shop small on Small Business Saturday (Nov 26, 2016) in a new larger layout at the St. Anthony Village City Hall & Community Center. 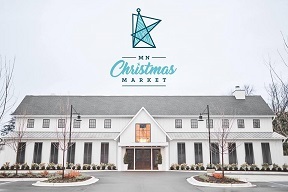 For one day only, 40+ Minnesota (and one Wisconsin) small businesses will feature their locally-made gourmet foods, custom art & prints, health & beauty products, natural cleaning, and gift baskets in one convenient location in one convenient location, making it easy to gift locally this holiday season! Fitness Crossroad is providing free child care for shoppers! And free parking! Gift locally this holiday season! Join us for the 9th Annual 2016 MWC Holiday Market! See you there! Excited to be back at AlwaysMod on Saturday, November 12 2016. I will guide you through a fun tutorial of baking French macarons. Class is a demonstration only and includes: Nikkolette's recipe, the history of the macaron, baking tips and troubleshooting, plenty of macaron samples and an AlwaysMod Swag Bag for each guest! Cost is $10 per person. Register by calling AlwaysMod at 763.746.5600 or Nikkolette's Macarons at 651.334.8821. Space is limited. 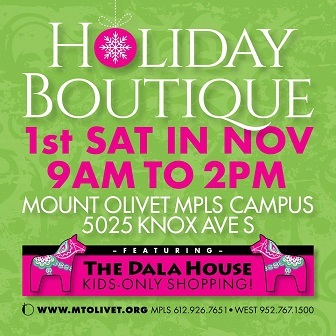 The Mount Olivet Church Women invite you to their annual Holiday Boutique on Saturday, Nov. 5, 2016 from 9am-2pm at Mount Olivet Lutheran Church, Minneapolis Campus. There will be over 60 unique vendors. 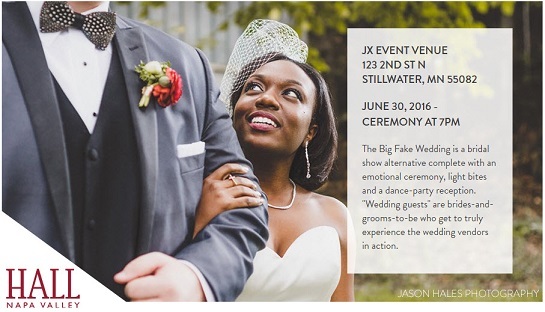 The Big Fake Wedding is returning to the Twin Cities for its second year - this time, in historic downtown Stillwater at the brand new JX Event Venue! This is a can't-miss event for engaged couples. You'll get to all see some of the best local wedding vendors in action with plenty of food, drink, and dancing to make it feel like you're attending a real wedding! 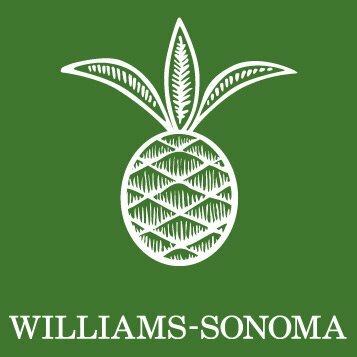 Join me at the Rosedale Mall, Saturday 6/18/16 from 12-4pm for the Williams-Sonoma Artisans' Market. Learn how to bake macarons on Saturday, June 11 2016 at AlwaysMod. 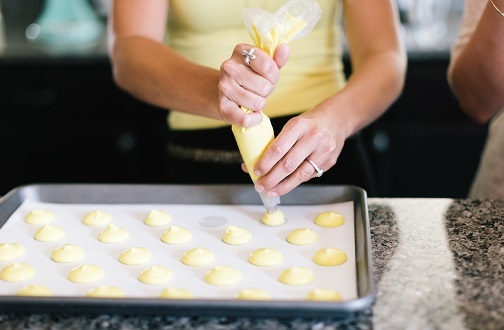 Macaron purveyor and Twin Cities food scene expert Nikkolette Krumheuer will guide you through a fun tutorial of baking French macarons. Class will include: Nikkolette's recipe, the history of the macaron, baking tips and troubleshooting, plenty of macaron samples and an AlwaysMod Swag Bag for each guest! Cost is $10 per person. Register by calling AlwaysMod at 763.746.5600 or Nikkolette's Macarons at 651.334.8821. Space is limited. 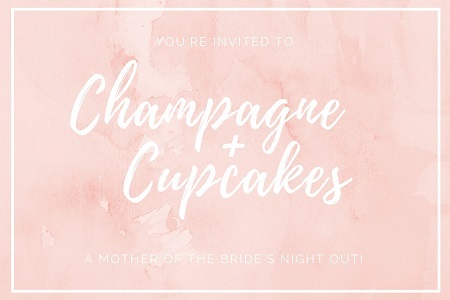 Join Nikkolette's Macarons at the Semple Mansion Annual Wedding Event. 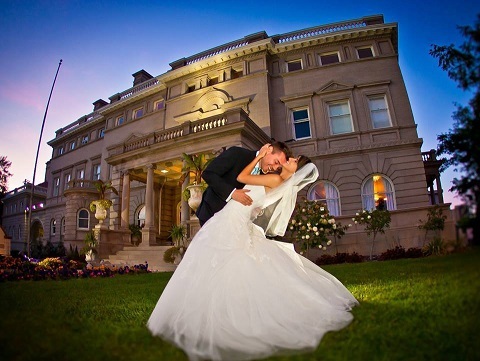 Wedding Professionals will be set up on all levels of the Mansion....plus a Bridal Fashion Show in the Ballroom by Flutter Boutique. 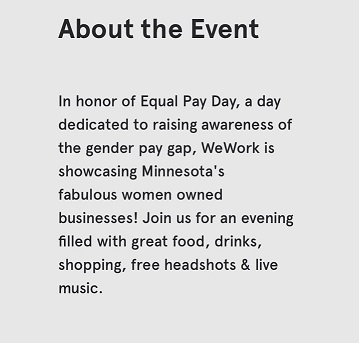 Complimentary event and parking. Tickets are now on sale for Loyce Houlton’s Nutcracker Fantasy. Super excited for this event. Stop by, say hi and pick up some Holiday Macarons!!!! 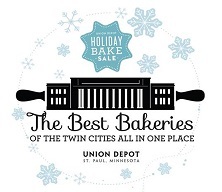 Union Depot’s 3rd Annual Holiday Bake Sale will host the top Twin Cities bakeries for a day of cookie and candy shopping on Saturday, December 12, 2015 from 10:00 a.m. to 5:00 p.m. in the Waiting Room at Union Depot. Thursday, December 10 from 6-8pm. 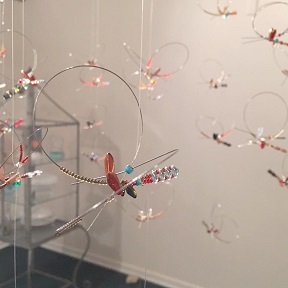 Please join Julia Moss and Elizabeth Simonson along with her beautiful beaded sculptures. We'll sip champage and nibble on macarons while you find gifts for your holiday list or something special for yourself. Shop small and gift locally this holiday season! Join Nikkolette's Macarons plus 35 other local small businesses featuring their locally-made artisan & organic foods, custom art & prints, health & beauty products, natural cleaning, hand made neckware and gift baskets in one convenient location in the heart of St. Anthony Village. Bring the family, there will be local lunch options available for purchase from award-winning Chowgirls Killer Catering! With holiday entertaining around the corner this is a perfect time to get a jumpstart on all your holiday entertaining needs and gifts. Enjoy an afternoon of sampling macarons while shopping the Julia Moss Designs limited edition Druzy stone charm collection. 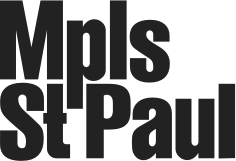 Julia Moss Designs Showroom will host the event on October 17, 2015 from 11 a.m. to 4 p.m.
Eat.Drink.Dish MPLS and LynLake Brewery have partnered up to bring you the ultimate Foodie experience! Nikkolette's Macarons will be there with samples and macarons to purchase. Make sure to reserve your ticket.